ArtMoorHouse in association with Full Circle Art Consultancy presents: ComplexCity an exhibition of artworks by the Award-winning London-based artist Christopher Farrell. 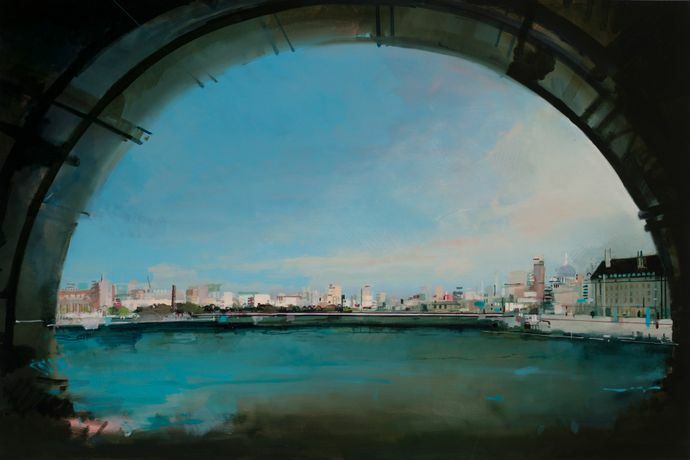 ComplexCity, curated by Full Circle Art Consultancy, will be a rare opportunity to appreciate Farrell's distinctive combination of gestural and highly detailed work that takes the cityscape of London as its subject. Farrell seeks to capture and process the constant evolution of the city resulting in complex and mesmerising pieces in various media, including digital techniques. His work continues to be in great demand for public and private commissions. Farrell uniquely combines the latest digital technology with historical materials and techniques. He studied at the Royal Academy Schools, completing a post-graduate diploma in painting in 1997. Old masters are among his current influences, including Canaletto whose celebrated views of London have provided inspiration. Inspiration also comes from the mix of contemporary and period architecture that forms the basis of the 21st century skyline.